TEHRAN, Sept. 22 (Xinhua) -- Iran's Foreign Minister Mohammad Javad Zarif said that the United States and its regional allies are responsible for a terrorist attack in Iran on Saturday. "Iran holds regional terror sponsors and their U.S. masters accountable for such attacks," Zarif tweeted referring to the terror attack on a military parade in the southern Iranian Ahvaz city on Saturday. 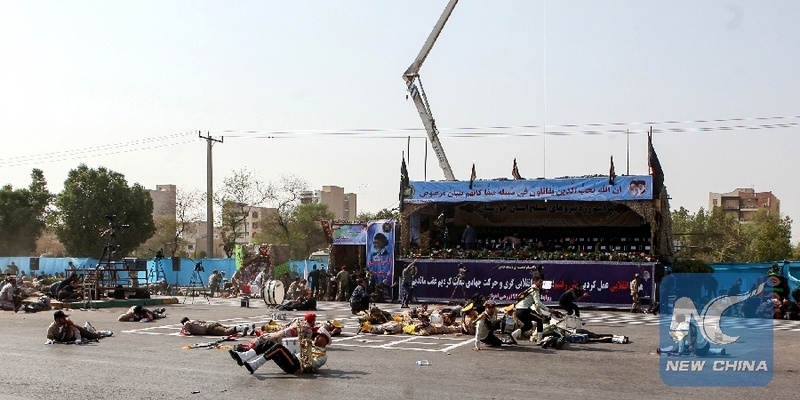 In the attack, at least 11 Iranian military forces were killed and over 30 were injured. "Iran will respond swiftly and decisively in defense of Iranian lives," he added. On Saturday morning, four armed men attacked the military parade in Ahvaz city which marked the anniversary of Iran-Iraq war in 1980-1988. Two of the militants were killed and two others were arrested.